More letterpressed goodness from the hands at Studio On Fire. Printed at 11.7″ x 16.5″ on Crane’s Lettra in Pearl White (220lb) in two colors. Beautiful typography and design by Sonner, Vallée u. Partner of Munich, Germany. 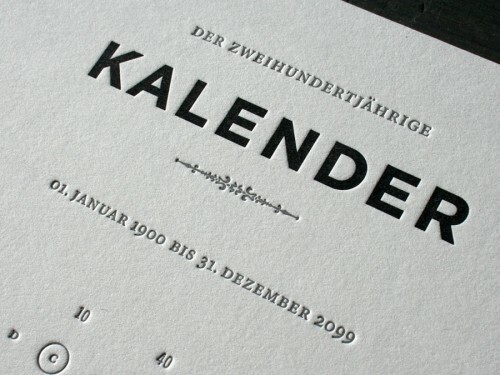 Celebrating 10 years, Studio On Fire printed a 2010 letterpress calendar with four colors on a cotton-blend stock. 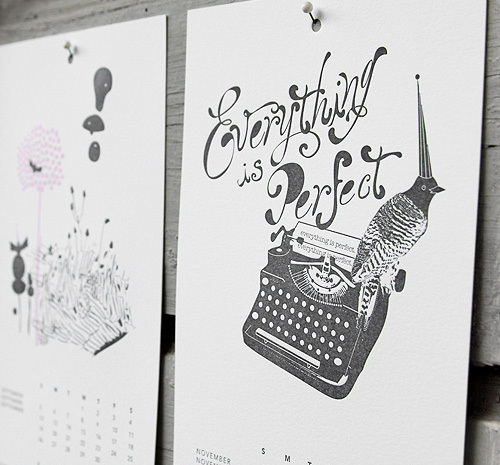 Each month was illustrated by a selected designer. The collaboration includes Cecilie Ellefsen, Brian Gunderson, The Little Friends of Printmaking, ghostpatrol, Rilla Alexander and Studio On Fire. Get one before they are gone. $30 at their store. 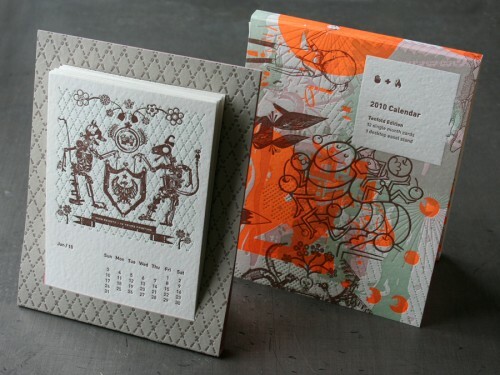 Ink + Wit just released their beautiful 2010 letterpress calendar printed by Boxcar Press. All the illustrations were inspired by their travels through Europe and the US. Only 150 of these were created. Available on their website for $42. 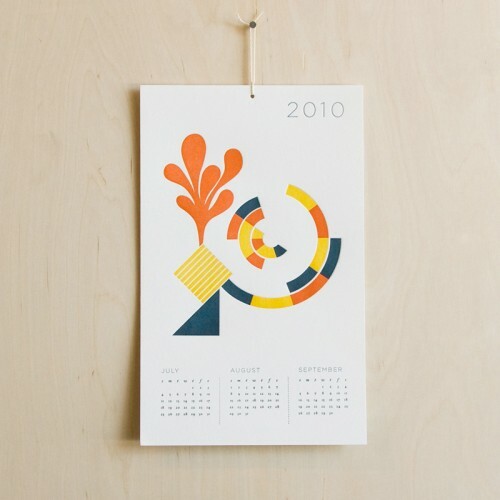 New letterpress 2010 Calendar by the crew at Seesaw Designs. Lots of lovely organic influences and an excellent choice of colors. 3 pages make up the calendar available for purchase at their store. Tasty.